Product Showcase: Darcie's Part II & a give-away! Alright so I am sure your appetite was whetted on Monday when I first introduced you to Darcie's yes? Good. It gets even better. 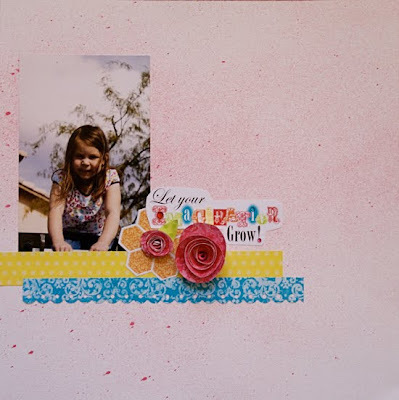 Today I will be focusing on their stamps and their patterned paper. So let's get on it, shall we? Their patterned paper is great for many reasons. Firstly they have fabulous colors and patterns that are easily mixed and matched together. They also give you the option to have regular text weight or cardstock weight! NICE HUH! They are also available in 8.5x11 and 12x12. FABULOUS! Alright, now on to the stamps. I can't tell you enough how these stamps just blow me away. They have unmounted rubber cling stamps, mounted rubber stamps and clear polymer stamps available. With the unmounted rubber stamps you get the most bang for your buck. You get every image in that set. Darcie's offers the polymer stamps in the same line but you don't get as many images and it is less expensive as well. Okay fine. What if you only like one image in the set? You are in luck! They also have single images in rubber wood mounted stamps. So WA HOO! 1. The image are amazingly detailed. 2. They are mushy enough that you get an even image (make sense?). 3. Love that they have such a variety of options. 1. Honestly, nothing. Not being sugary or anything, it's just the truth. So honestly, I love them. All of them. I am surely going to have to get more! What do you think? Are you pretty excited to get your hands on some of Darcie's products or are you alright without them? Leave a comment by midnight EST on Thursday to be entered to win the fabulous prize pack valued over $60! I LOVE that blue and white paper. I would love to see more of their products! Thanks for sharing! Love the funky fonts, LOVE the sentiments...I want to see more too! Your cards made me smile! Clever wording and cute designs! Love their stamps! Thanks for the review. thanks for the review. Your projects are fabulous! These stamps look awesome! I love using stamps so I am always in the market for new ones! I first saw Darcie's stamps at a convention a few years ago and I fell in love with them. Honestly, I'm surprised I never see them in any magazines or on blogs. They're so cute and versatile. Plus, they have a nice selection of stamps that are appropriate for men's cards and layouts. And you're right, the detail in their stamps is excellent! Yes, I would love to get my hands on this cuteness! Lovin' those cute cards! Just makes me smile! I'm not a big stamper, but those are crazy cute stamps! I need to branch out in my paper crafts! These are beautiful! Oh the layouts I could make with this!!! Love the colours and love what you have done with the products!!! love your projects, Party my crib 2am is great, love it! Love stamps, prefer the crispness of rubber, like seeing where it's going with acrylic. YES--I would love to get my hands on these:) Thanks for the chance to win! Great projects! OMG! 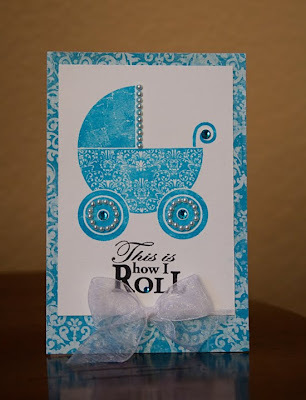 I MUST have those baby stamps - so stinkin' cute and perfect for my new grandbaby that's due very soon!! Had no idea that she carried pattern paper though - love that damask. Yummo!! I'm always excited to get new paper! and LOVING those projects, especially the second card - mushy INDEED! Wow! You've certainly got my attention with this line! The papers look amazing and so do the stamps! Thanks for the chance to win! Darcie's has the cutest stamps sets! I have an Easter one and it's freakin' adorable and stamps very nicely! Would love to try some of their papers one day! Just too cute - I've never seen their paper before just the stamps! I love what I have seen so far...I hope to see more soon. I hope the new items will be in the stores soon, I will look for them! How cool! I will have to give these a try! cute for sure!! love what you did. How fun! Great projects too! Love them! Thanks for the review! I love, love , love the sayings on these two cards. fantastic. Their stamps look great, but their website is a bit slow! LOVE all your projects!!! VERY cute! Beautiful stuff. Cant wait to get a hold of some Darcie goodies!! OMG! 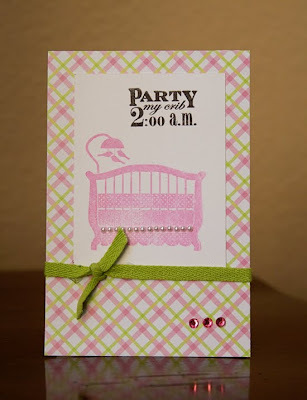 I am cracking up at the "Party My Crib 2 am" and the great crib stamp! LOVE it! and the papers are so pretty too! I'm totally loving the stamps. Thanks for the review and your projects were terrific. I love new papers!!! Awesome giveaway! I spent some time on their website and one thing that really stood out to me is that this company doesn't seem to be focused solely on hot trends. They do have some super cute trendy stuff but they are LOADED with basic supplies and really solid designs that do not looked dated or like the designer is trying to hard to grab the coattails of some other company. I was impressed with the variety they offer from super beyond cute to modern funky stuff. I'm also happy that somebody is still making things that real scrappers and crafters want not just what they want to sell us. Everything looks awesome to me. Thanks for sharing. Thanks for the review and it sounds like a great collection. I love all of the goodies that you showed. Beautiful colors. I am off to visit their web site right now. Cute stamps! Love the classy look with the cute sayings! That baby buggy is amazing! Yes, very excited and so terrific for all the soon to be moms I know! I would love to get my hands on some of Darcie's stamps! I haven't seen them or tried them and I just love trying out new products!! I love your "party at my crib" card. TOO funny! Thanks for the giveaway! It looks like they have some really fantastic stuff! Thanks for the review! oh wow, it all looks gorgeous!!!! great work, love the cards!!! LOVE this line! Thanks for the chance to win!! I love the different fonts. And the fact that there are so many options for purchasing. "This is how I roll" - ha! ha! What a cute stamp, and your sample card is awesome! Loving all this cool new Darcie's stuff - pick me! pick me! super cute and i love your layout! The stamps are different and somewhat eclectic. Luv what you made with them! I love the fonts for their sentiments! I might have to look for more of these! Those baby cards are great! I would love to have some of Darcies product - especially the ucusts with the dress forms - too cute!